I think this is incredibly cute and definitely out of the norm. However since it’s spring I think it’s kind of fitting especially with the kind of flowers they’ve added. 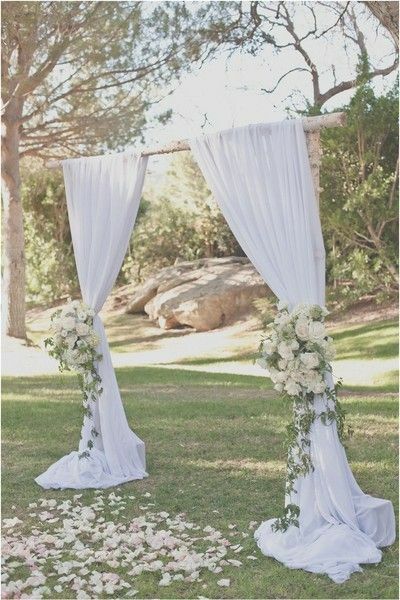 A simple, rustic, and beauty option for an outdoor wedding alter. It’s a simple construction of three branches of birch wood, fabric, and flowers of your choice. Now I know that this particular entrance way has more of a fall feel to it due to it’s date. 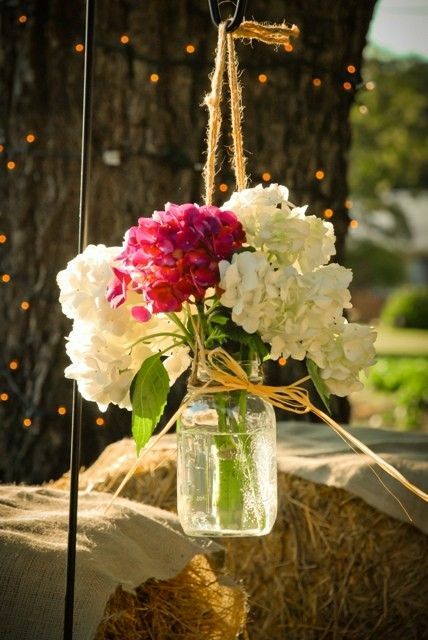 But it can easily be altered to fit any season just by changing up the flower arrangements. 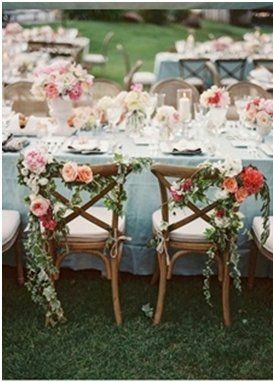 This is a perfect idea especially for a spring wedding since we associate spring with gardens and flowers. So yesterday I may have jumped the gun just a bit. But today, today Spring is finally here! 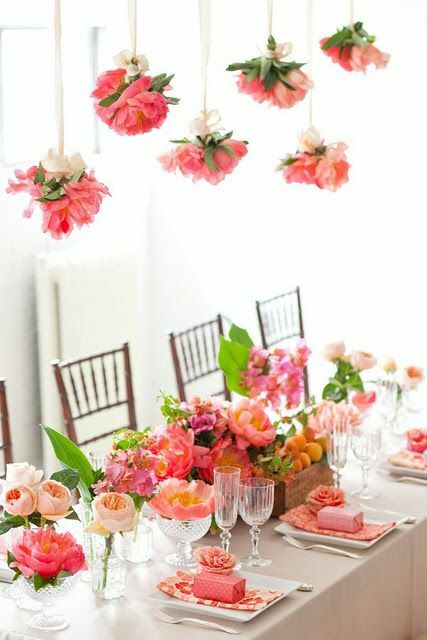 Get some incredible Spring wedding ideas from this article on the Huffington Post. 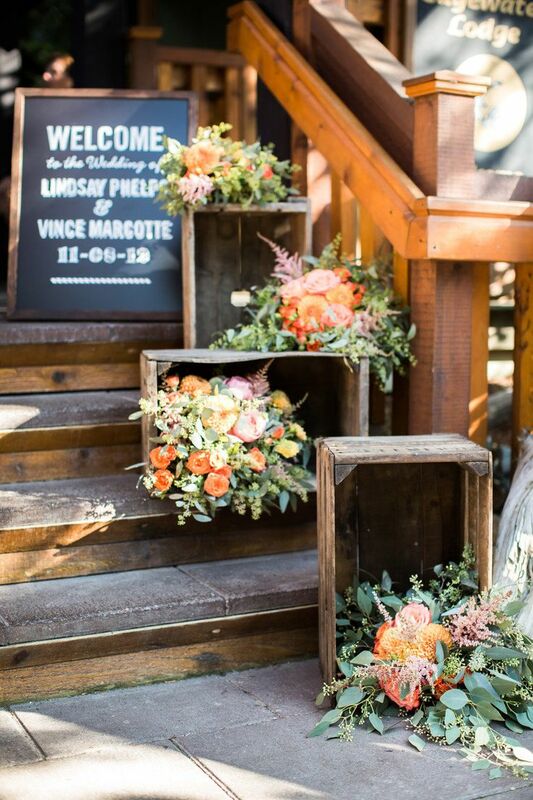 Don’t be afraid to experiment with aisle decorations, the photo to the left is a great example of that. Taking a simple flower arrangement and adding a light source and some beads. They’ve created a stunning effect that adds to the space. 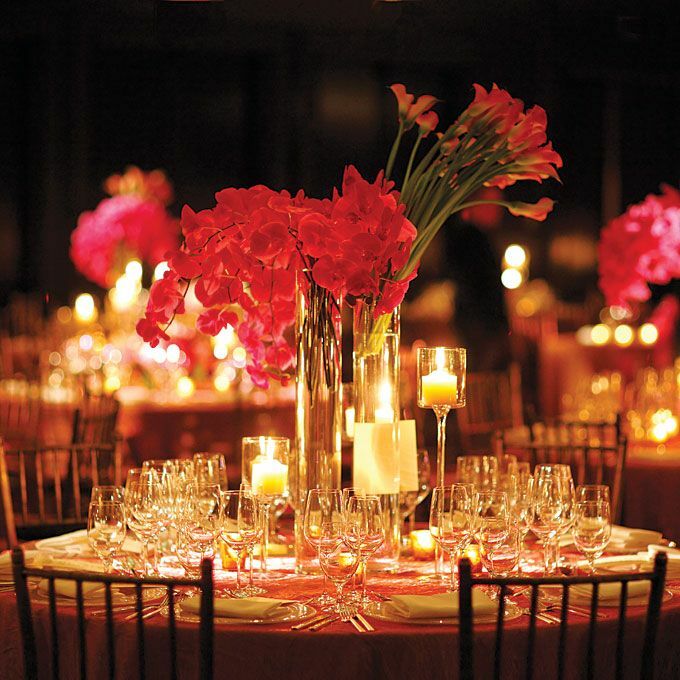 The use of candles can be crucial when it comes to both lighting and decoration. Take this photo for example, there’s not much going on. 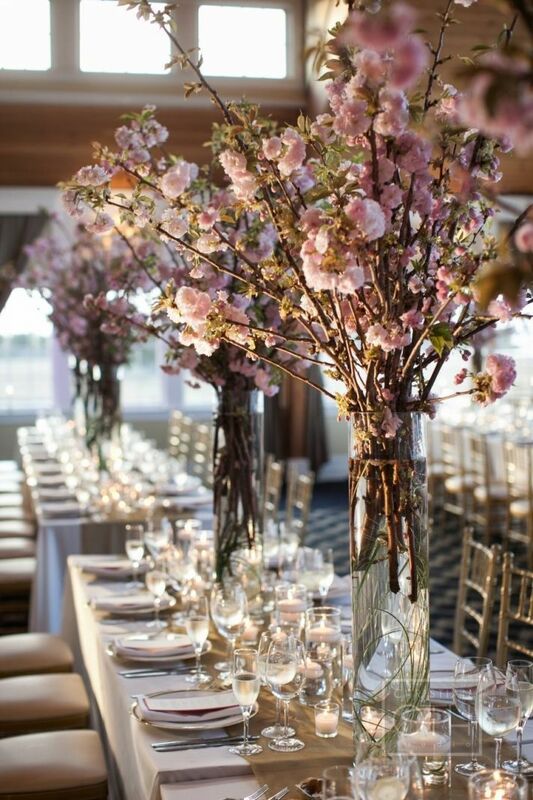 Two types of flowers positioned high up in two separate vases, and surrounded by candles that are positioned in various heights. 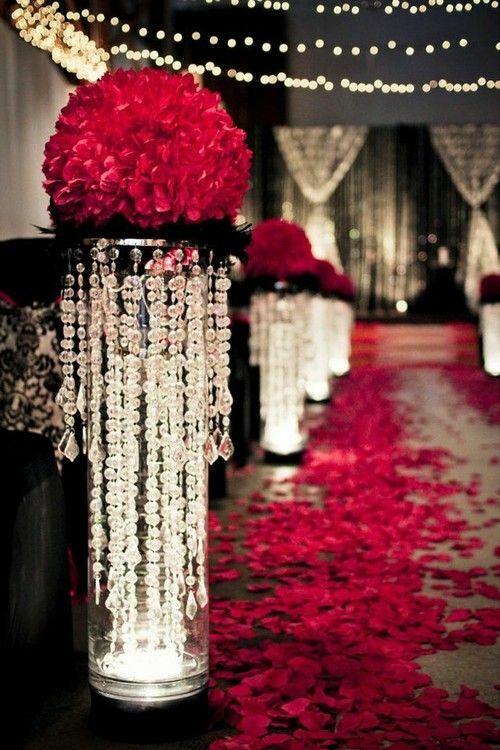 This adds a both a elegant and intimate effect to the room that will leave your guests in awe. To see more photos from this particular wedding head on over here.